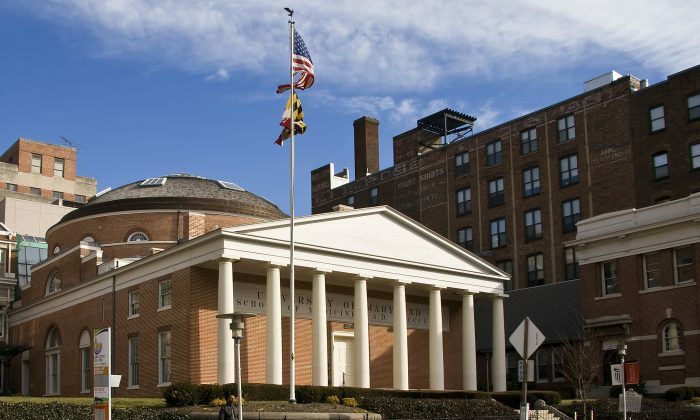 College Park, home of the University of Maryland, could soon join a wave of cities granting noncitizens the right to vote in municipal elections in the state. The resolution calls for a supplemental voter registration list that includes noncitizens, including illegal immigrants. If approved, the resolution would make College Park the largest city in Maryland to give illegal immigrants a right to vote in local elections. According to the Baltimore Sun, there are now 10 municipalities across two counties that allow noncitizens to vote in local elections in Maryland. The first municipality to grant noncitizens the right to vote was Barnesville, in Montgomery County, a town that today is home to under 200 people. It has allowed immigrants to vote since 1918. Somerset became the second municipality to do so in 1976. Liberal enclave Takoma Park was the third in 1991, reported the Sun. But since the last presidential election, with sanctuary cities and immigration becoming policy battle grounds for Republicans and Democrat lawmakers, the number of cities considering similar policies has jumped. Hyattsville and Mount Rainier, both in Prince George’s County, approved immigrant voting last year. Supporters of the policy said local elections focus on local issues like garbage removal and zoning that affect people living in the area. They argue that citizenship was not a defining aspect of voting rights historically either, with early voting laws requiring land ownership but not citizenship. From 1776 to 1920s, many states allowed noncitizens to participate in elections and in some states they could also run for office. A major shift occurred after World War I when many states struck down immigrant voting laws that had sometimes been in place for decades. Critics of the policy of allowing noncitizens, including illegal immigrants, to vote said it could undermine the value of citizenship as well as the legal immigration process. They also question the long-term impact of granting voting rights to those that haven’t taken the Oath of Allegiance and who may maintain loyalty to another country. They suggest that granting voting rights to illegal immigrants in local elections could be a slippery slope toward granting these same people voting rights for state and presidential elections. While Maryland is not the only state to host cities that grant noncitizens voting rights, it’s constitution does make it easier to do so by giving local governments more latitude to organize elections, reported the Sun. The College Park City Council could vote on the election measure Tuesday, Aug. 8, though local officials have also said the vote could be pushed back until later this summer.